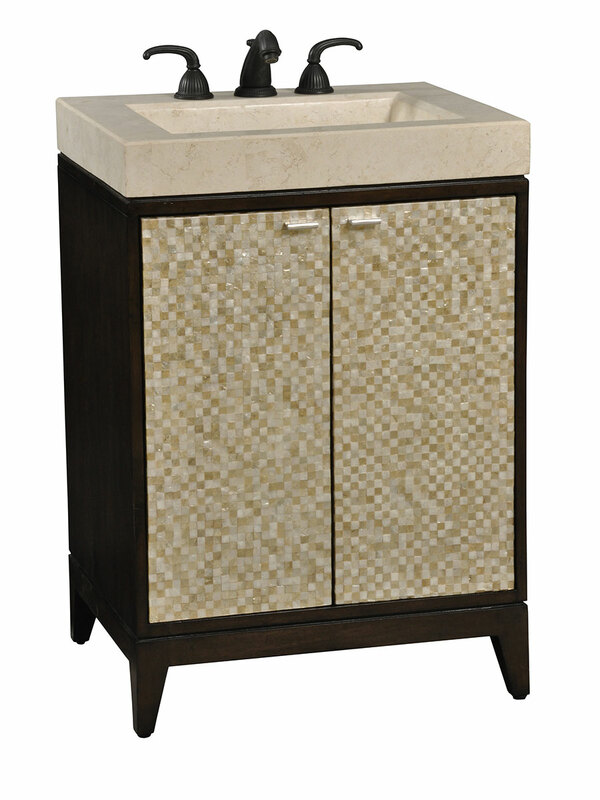 Made with a retro style in mind, the 36" Luster Single Bath Vanity brings the groovy back to your bathroom. 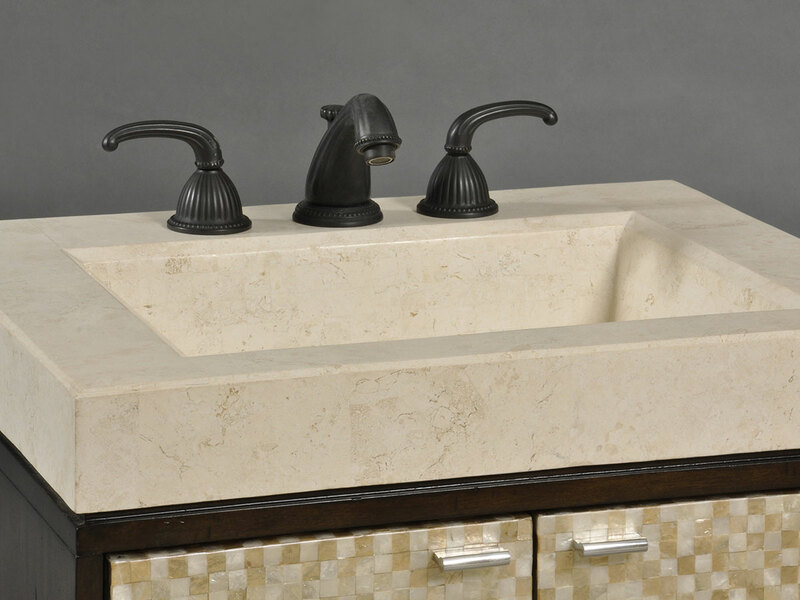 Featuring a contrast of light and dark capiz shells across the front of its double-door cabinet, along with an integrated white agate fossil stone sink top, this vanity will surely dazzle. Within the cabinet, an internal drawer also allows you to store your bathroom necessities in an organized fashion.